Countries where euthanasia are accepted as normal “medical treatment” nonetheless tend to ignore, gloss-over, or ignore the most egregious cases of state-sanctioned “medical” homicide. This only means, though, that what they do admit to is considered so within the pale that it is almost revolutionary to have any qualms over it! 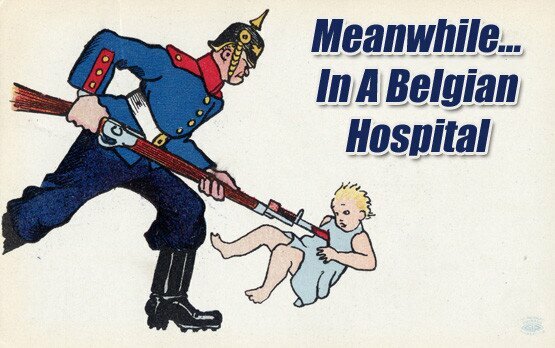 The Belgium Federal Commission on the Control and Evaluation of Euthanasia presents such antiseptic homicides as the bare minimum of acceptance with incidents that are beyond even their capacity to find problems with. A summary of their report can be found here, but for the sake of unbiased reporting, the full reports in the original untranslated text can be read below. This entry was posted in Healthcare, Progressives and tagged DOOM, Europe, Leviathan, RIP. Bookmark the permalink.